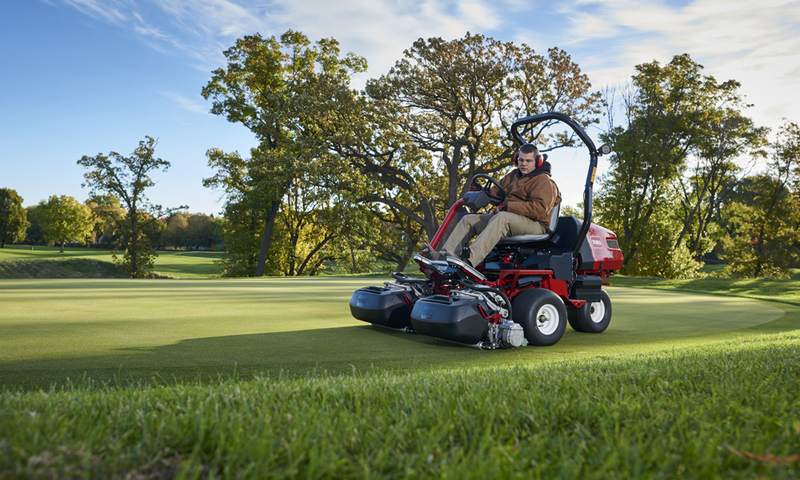 Toro announces the launch of the most advanced, all-electric riding greensmower on the market, the Toro® Greensmaster® eTriFlex™ Series. The new eTriFlex carries no hydraulic fluid and utilizes all-electric components for traction, steering, lift and cutting units. These new “EnergySmart™” models deliver an operationally friendly design with noise reductions, operational cost savings, and other meaningful improvements to complement the ever-important enhancements in cutting performance. an increase in operational productivity. is virtually silent during operation. mowing slowdown setting to help protect the integrity of the collar. the fringe area of the green in turn-arounds. eTriFlex Series mowers, please contact your local Toro distributor.